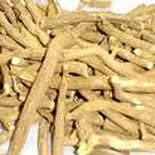 We present Dried Ashwagandha Root to our admired customers. Sustaining supreme quality tops our priority list. For that purpose, we have an exceptional team of capable quality auditors. This team matches the highest parameters of quality set by industry. It is popular for being rich in aroma, excellent in quality and high in nutritional value. We make certain its long shelf life by providing it in protective packaging.